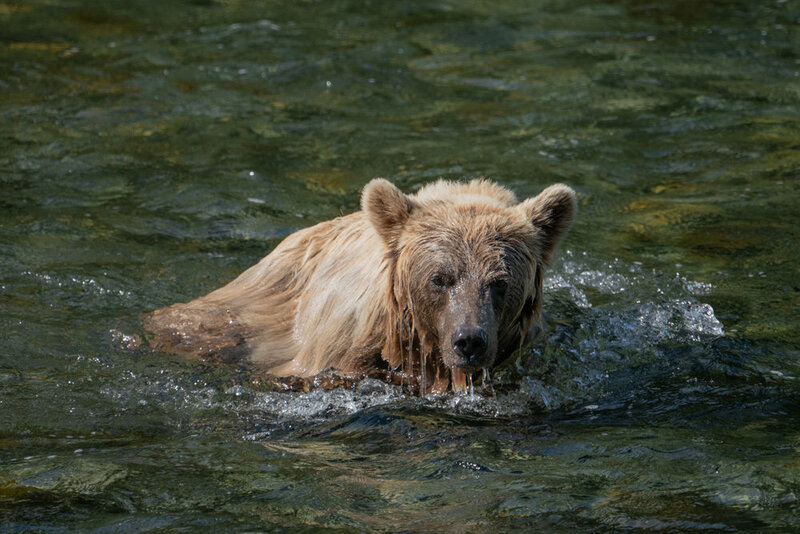 Join Kevin Pepper as he returns home to British Columbia for an incredible bear adventure, which is perfect for any wildlife and nature enthusiast! Our destination is a remote lodge which is only accessible by private plane and boat ride, deep inside the unique eco-system that covers much of British Columbia's coastal areas and islands. The rainforest is a rich habitat for thousands of species of flora and fauna, and many of British Columbia's resident grizzly, black and spirit bear population. 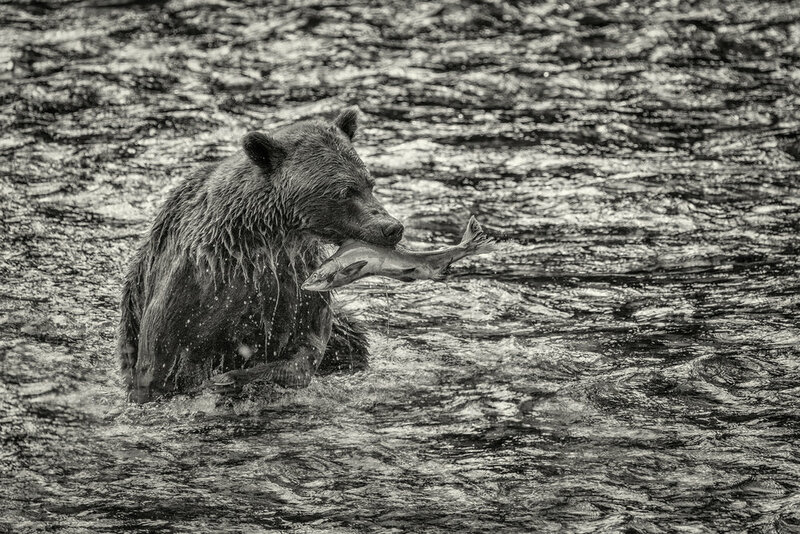 It is in this remote area that you will photograph amazing bear activity including: fishing on the spawning salmon, bears swimming in the pools, and wandering through amazing forested landscapes as they have before men set foot on this hallowed ground. 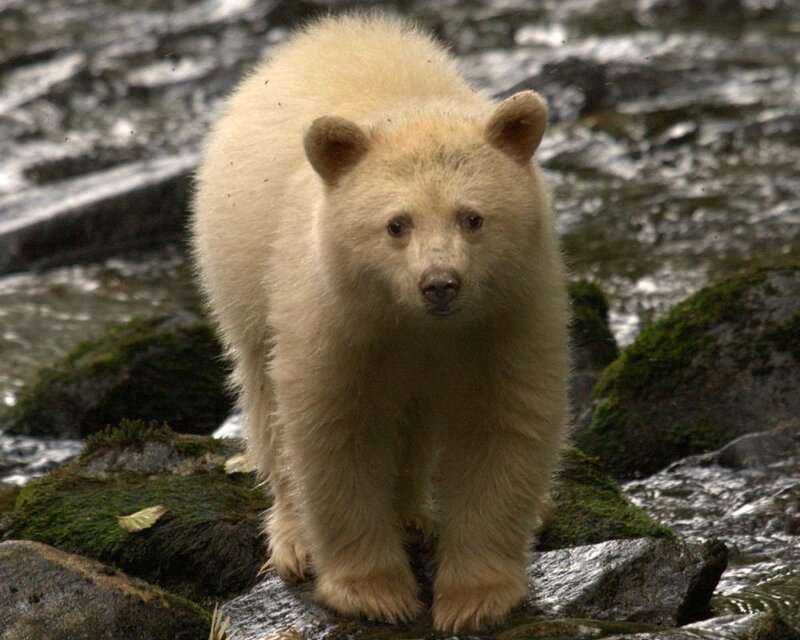 We hope to see and photograph the Spirit Bear. The Kitasoo Xaixais people, who have lived with the Spirit Bear for thousands of years, have a myth about these mysterious white bears that says “Raven made one in every ten black bears white to remind the people of a time when glaciers covered this land and how the people should be thankful of the lush and bountiful land of today.” Many of the Kitasoo Xaixais believe the Spirit Bears hold super-natural powers, hence the name Spirit Bear—a name that suits its mythical like presence that you will enjoy watching and photographing. Our adventure begins as we board the plane in Vancouver for an exhilarating and scenic trip up the pristine BC coast to our bear camp. On our way, you will pass over some of British Columbia’s most beautiful wilderness locations. When we arrive at our base camp, we will have the opportunity to experience a closeness and intimacy with the bears that is seldom experienced, and normally only seen on the Nature Channel. This is a very exclusive, very unique place where the bears have had citizenship since before recorded time, and we are the visitors. We will experience and photograph the bears in their natural environment, and as far away from a zoo-like experience as one can have. Our waterfront Spirit Bear Lodge is a welcoming and comfortable place to lay your head at night after a day full of exploration and adventure in British Columbia’s Great Bear Rainforest. Spirit Bear Lodge pays homage to the traditional long houses built for thousands of years by West Coast First Nations. Inside, the atmosphere is modern and relaxing. After a day of bear viewing, it is the perfect location to edit photos and share stories with fellow guests in “The Great Room”, an intimate central room with comfy couches, 20-foot high, ocean view windows. Imagine talking about our day, relaxing and gazing out towards the grey blue waters of the Pacific Ocean as a pod of passing orcas surfaces, or White-Sided dolphins and sea lions frolic in the calm waters. Watch, enjoy, or grab your cameras to capture yet another amazing wildlife encounter. Our group is small, only room for eight guests, so if this type of photo and wildlife experience is for you, read on and click the Sign Me Up! button. NOTE: Nature is nature, and we don't control it. In fact, our bear camp is one in which we humans are the guests, and the bears have citizenship! We expect many bear encounters, and many great photographs—but we simply cannot control what happens. Everything is 100% natural, no baiting and no interference. Based on past experience, this is an excellent time for bear visits and photographs! August 15, 2019: Fly from your home to arrive in Vancouver and check in to the our hotel. Tonight we will have a welcome dinner and discuss the week's activities. We can get to know each other and discuss what you can expect during the workshop. August 16, 2019: Depart Vancouver aboard Pacific Coastal Airlines scheduled 2-hour afternoon service to Bella Bella. Short transfer by 15-passenger van to boat dock. Greet Spirit Bear Lodge staff aboard our water taxi for 90-minute journey to Klemtu and Spirit Bear Lodge. Check in, receive welcome orientation. Relax, you’re here! We have dinner at 7:00 PM, followed by next day activity briefing. Evening presentation at 8:00 PM on some aspect of coastal ecology. 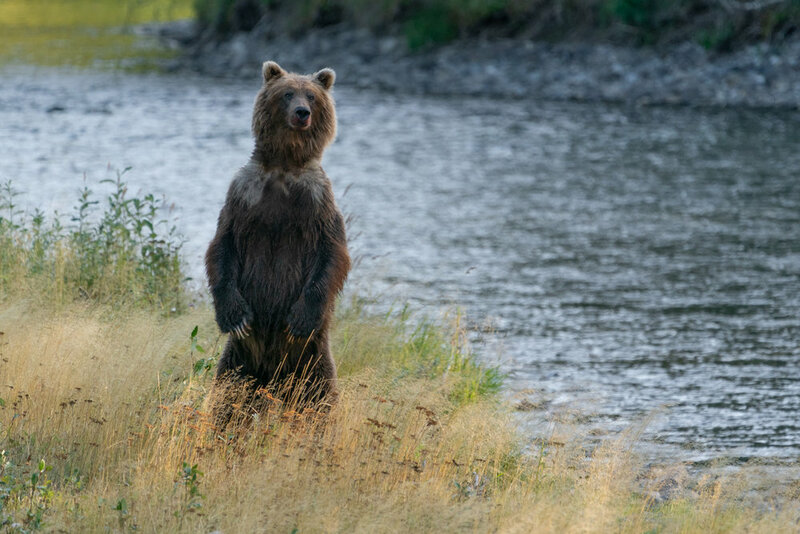 August 17–21, 2019: Each day will be slightly different, but in general, 7:00 AM breakfast, then we're out on the water at 8:00 AM for a Grizzly viewing tours to Fiordland Recreation Area or Spirit Bears on one of the Spirit Bear rivers. Return by 6:00 PM for dinner and evening editing and critique session. August 21, 2019: After breakfast, a morning boat ride to look for black bear as they wander the shoreline looking for shellfish along the rocky shores. At 11:00 AM we board our water taxi for 90-minute trip to Bella Bella arriving in time to catch afternoon flight back to Vancouver. Flights home after 6:00 PM or anytime on August 22, 2019. Travel to/from Vancouver, British Columbia. Items of a personal nature. Alcoholic beverages. Medical Evacuation Insurance (required). Travel Medical and Trip Cancellation Insurance (optional, but recommended). Anything not listed as included. Your deposit of $3,495 will secure your place on this workshop. The balance of $4,500 will be due not later than May 1, 2019. All of our standard terms and conditions apply. Need special payment arrangements for your deposit? No problem, just ask us. Our bear workshops traditionally sell out very fast. If being up close and personal with these bears is what you're looking for, don't delay, click the "Sign Me Up!" button and register now. We'll see you in bear country! Got questions?